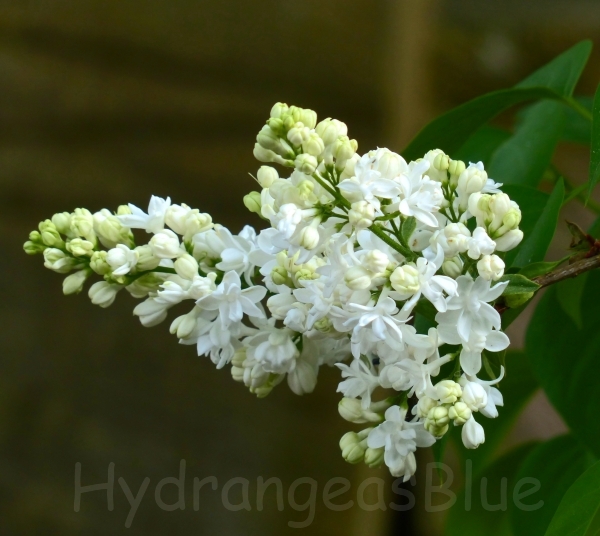 I look forward to seeing my hydrangeas grow and bloom this year, but first I will see the lilacs bloom. I don’t have very impressive lilac bushes, I will admit. The yard is very shady and I am not used to dealing with this type of plant. Lilacs don’t grow in Florida, where I lived for a long time. They thrive in US hardiness zones 3-7 and central Florida is in zone 9. So I have been trying to help my Lilacs do better in the once-neglected yard of my newer house. The tall, gangly tree / bush at the corner of my house was tucked under a pine tree and hidden behind a piece of fence. Now the fence is gone, and so is the little pine. I’m hoping that now the lilac will get more sun and branch out and get bushy. I know that it’s a good idea to trim off the flowers as they die and then leave the tree alone. Trimming too late will remove the blooms that set for the following year. Also do any pruning then too. I recently learned something about pruning the suckers, or shoots that grow from the base of the shrub. I always thought I needed to remove them all so the main trunk would do better, but that is not so. I’ve read that only 2/3 of the suckers should be cut so the others can grow and fill in the shrub. I am going to try it. My lilac flowers are dark purple. I don’t know if they are double blooms or not, but double bloom varieties are more fragrant. I counted a few big flowers at the top of my lilac tree last Spring. And although it didn’t have many, I could smell the fragrant flowers in that area of the yard. I don’t know if I should just buy a new bush and give up on the old one, or try to work with what I have. Lavender, white, pink, purple and blue are the colors to be found among lilac varieties. President Lincoln is one of the popular blue flowering plants.